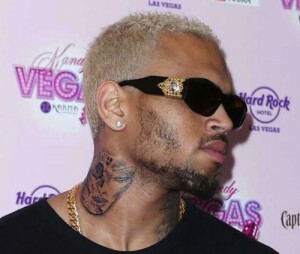 Did Chris Brown get a tattoo of a battered woman’s face? I’m so sick of writing about Chris Brown. I’m sick of constantly having to explain to victim blamers that Chris Brown was too quickly forgiven and Rihanna, his victim, was too quickly blamed for her assault. But now, hopefully, folks will once and for all view Chris Brown as the awful person he is. 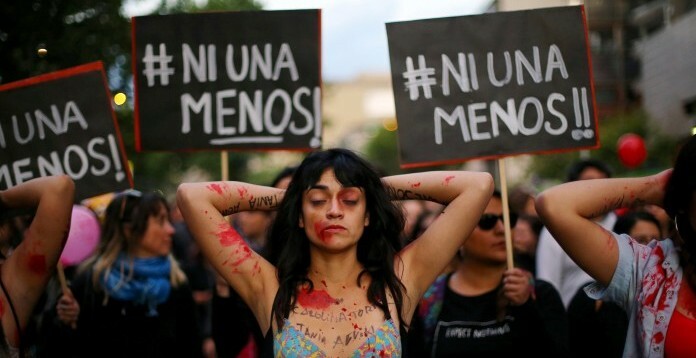 Brown has decided that an image of a battered woman (which looks a lot like Rihanna’s now infamous police picture) would make a great neck tattoo. Now leaving open the possibility that this could be a publicity stunt, Brown’s tasteless choice really should let those holding out hope that he is reformed know exactly where he stands. Brown doesn’t appear to be reformed, remorseful, or even the slightest bit disturbed by the horrific nature of his actions. I hope I’m wrong. I hope this is one of those times where we see an image of Jesus in a puddle of rain or something but this picture looks an awful lot like a women’s battered face and Chris Brown wouldn’t be the first batterer in history to be proud of the pain he has inflicted.